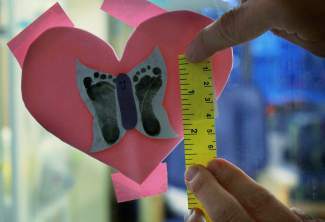 Dr. Theresa Grover, medical director of Children’s Hospital Colorado’s neonatal intensive care unit, measures a footprint of an infant on Nov. 16, 2015. who was born three months premature at the hospital. Photo: Rocky Mountain PBS News. Twenty weeks pregnant with her third child and in danger of a premature delivery, Adora Loftis sits in an examination room at Denver Health. She bends forward slightly and laughs with the lab technician who clips a snippet of hair from the back of her neck. She is participating in a study that might offer some clue about her health and the elevated risk she faces with her pregnancy. Complications in birth, including low birth weight and preterm or early delivery, are the leading causes of infant mortality. 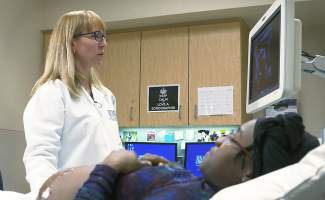 The Denver Health research measures a hormone called cortisol in the hair of pregnant women to evaluate how high levels of stress contribute to an increased risk of premature birth. Cortisol is released by the adrenal glands and is known as the “fight or flight” hormone. Long-term exposure to heightened levels of cortisol can be toxic. The hormone has been linked to numerous health problems, including heart disease and diabetes. In pregnant women, it has been shown to increase the risk of an early delivery. Dr. Camille Hoffman is the lead researcher on the study. She believes her findings will help explain why dramatic racial and ethnic disparities exist in preterm birth and infant deaths. “Our assumption is that African-American moms have higher levels of stress, and that may be part of the relationship with preterm birth in that population,” she said. The infant mortality rate is considered one of the most important indicators of the health of any community or even of a nation. The rate, which tracks the number of infant deaths during the first year of life per 1,000 live births, is closely monitored worldwide by organizations including the World Bank and the Central Intelligence Agency. The infant mortality rate is considered one of the most important indicators of the general health of any community. It tracks the number of infants who die before their first birthday, per 1,000 live births. The infant mortality rate in Colorado is 5th lowest overall among the states. But within that ranking is a striking racial disparity. The rate of infant death for black babies is triple that of white babies in the state. Photo: Ryan Conely. Colorado has the 5th lowest infant mortality rate in the United States at approximately 5 deaths per 1,000 births, according to data from the Department of Public Health and Environment. But within that ranking is one of the nation’s most glaring racial disparities. Colorado’s black infants die three times more often than the state’s white infants. For every, 1,000 black babies born, 12 die. For every 1,000 white babies born, 4 die. The risk that Latino infants face has increased over time relative to whites. Now, they are 70 percent more likely to die than white infants. The black infant mortality rate in Colorado is higher than the rates for about 100 foreign countries, including places like China and Mexico, according to World Bank data. “Despite the fact that we have some of the best health care in the world, we have one of the worst infant-mortality rates in the world of industrialized Western nations,” said Dr. Lauren Smith, executive project director of the Collaborative Improvement and Innovation Network to Reduce Infant Mortality (COIIN), a division of the National Institute for Children’s Health Quality. 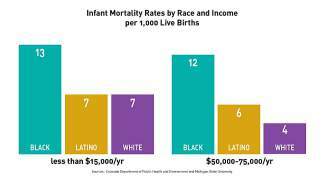 The inequity in the infant mortality rate between blacks and other races and ethnicities has been observed for decades, and it is reflected to varying degree across the nation. While infant mortality has declined for all races, the loss of black babies has remained consistently higher. Infant mortality rates for the United States have gone down over time, “and we should celebrate that,” Smith said. But “the crux of the problem” is the disparities among differing populations. Adora Loftis, left, sits as a Denver Health lab technician clips a small portion of her hair during a prenatal care visit on Oct. 29, 2015. Loftis is participating in a study the measures the levels of a hormone called cortisol, a marker of stress, in the hair of pregnant women. Photo: Rocky Mountain PBS News. Normally, better social standing leads to better health. But even as black mothers move up in society with higher levels of income and education, their children continue to die at the same rate. 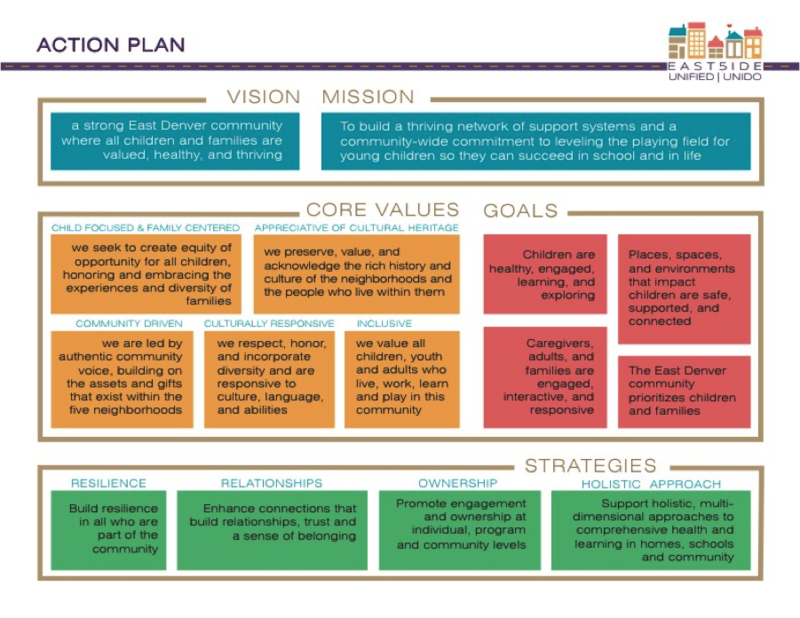 “Unlike other health disparities, (black) infant mortality is not explained by income level or education,” said Kellie Teter, Denver Health maternal child health program manager. For example, black families earning $50,000-$75,000 annually have an infant mortality rate as high as a black family making less than $15,000. In Colorado, a middle-income black family still faces an infant mortality rate twice as high as a white family below the poverty line, and more than four times higher than a white family at the same income level. The same is true when comparing mothers’ education. Similarly, a recent study at Michigan State University sought to determine whether other socio-economic factors, including marital status and age, could explain the racial disparity in infant mortality. The results: Those factors did not explain the inequity. Large gaps remain. Which is why researchers around the nation are looking for another answer. And Dr. Hoffman’s study in Denver is revealing some remarkable results. “African-American moms have higher stress hormone levels in both hair and in blood and saliva than white and Hispanic moms,” Hoffman said. The cortisol study does not tell us where the stress comes from, only that black mothers experience more of it, and that it is linked to adverse pregnancy outcomes. Yet prominent research in the field of infant and maternal health suggests that racism and social isolation could be to blame for increased cortisol in black mothers. Loftis, a patient in the cortisol study, said that she personally feels stress from her financial situation, but also because of her race. Her due date is March 23. She’s expecting a baby boy. She said she’s happy that she’s stayed pregnant this long. Her daughter was born three months early and faced a precarious survival. She and her children, now ages 6 and 5, live in transitional housing in Denver. She doesn’t own a car, so rides the bus from her temporary apartment to her prenatal-care appointments, often traveling about an hour or more each way. “And I’d ride it to work when I was working, too,” she said. She worked for a construction company until she was 20 weeks pregnant, then was laid off. She says her pregnancy is a barrier to physical labor. Which adds to her stress. Dr. Camille Hoffman, left, examines Adora Loftis’s ultrasound during a prenatal care visit on Oct. 29, 2015 at Denver Health medical center. Loftis is expecting a boy in March, but as an African American woman, the baby faces a three times higher chance than a white child of dying before his first birthday. Photo” Mark Montour-Larson. Public-health officials and health-care providers are working on strategies to combat the disparities in infant and maternal health. One intervention strategy she mentioned is the national COIIN project, led by Dr. Smith. Colorado is one of more than 40 states involved in the COIIN effort, and it focuses on many areas to reduce infant mortality, including safe sleep, decreasing exposure to cigarette smoking and addressing the real impacts of racism.